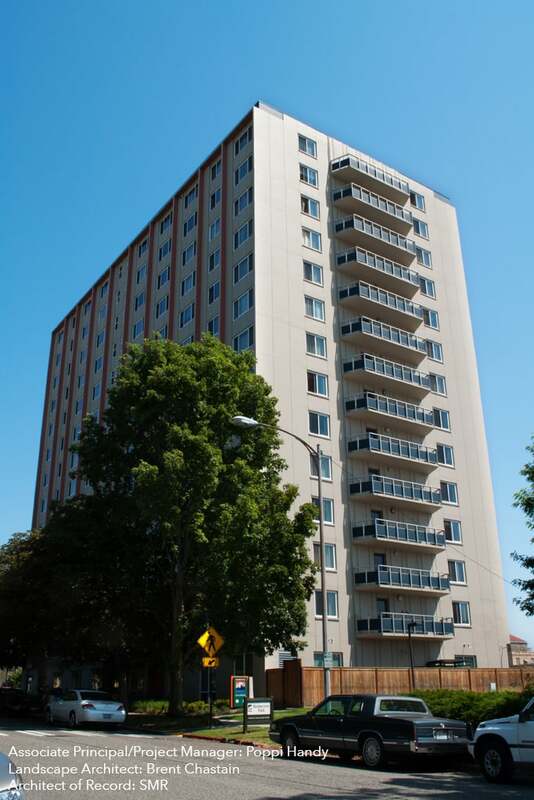 Serving the Community: Harbor View Manor is a 14-story, 169 unit high-rise in downtown Tacoma provides secure and affordable housing to local seniors. Finding Solutions: The occupied renovation included upgrades to residential corridors and units and the complete overhaul of the basement and main floor. 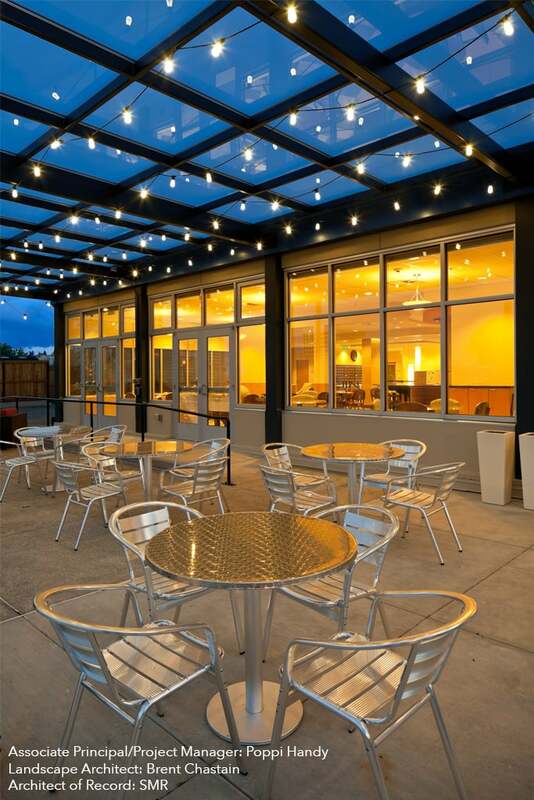 The renovation included cosmetic, lighting, life safety, sewer, plumbing and mechanical system upgrades. Removing the existing sub-divided kitchen and dining areas created open, light-filled spaces with mountain and water views. 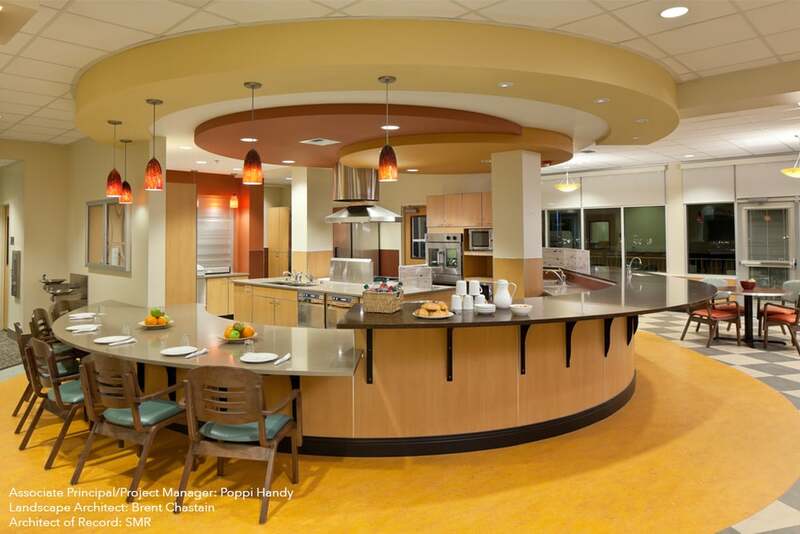 This open layout establishes a connection between the indoors and outdoors, and provides a modern approach to active senior life. The program includes health and fitness areas, a kitchen and bistro counter area for dining and serving meals, a new central stair connection from the first floor to the basement, family and community rooms, a new laundry facility, and administrative offices. 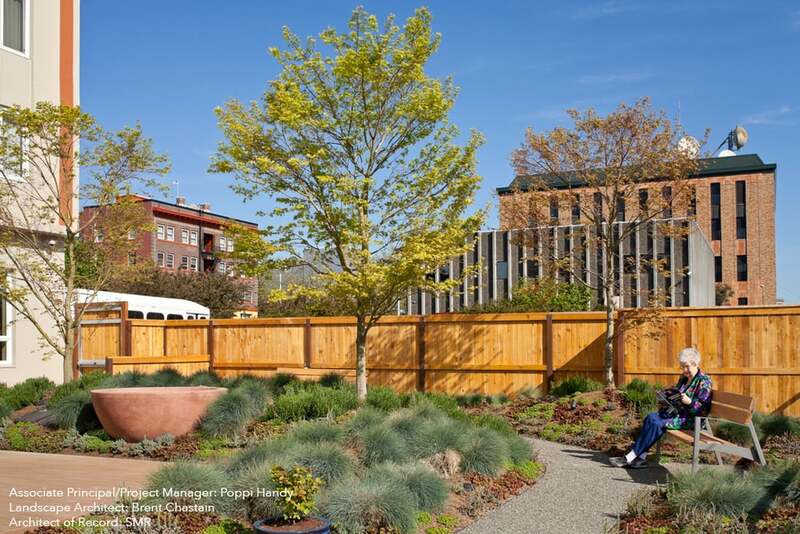 The landscape design incorporates spaces for community gathering and individual reflection. 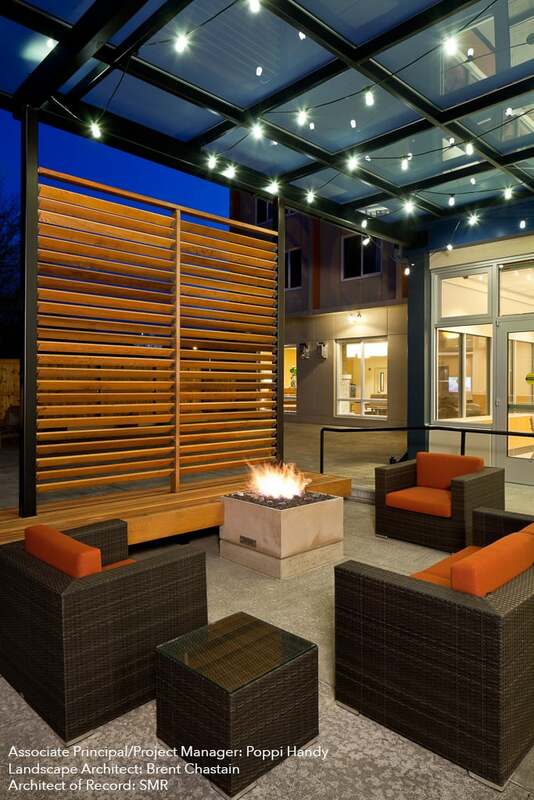 The terrace has a covered outdoor living room with a fire pit that expands the use of the area into the colder parts of the year. Role: Poppi Handy served as Project Manager while at SMR Architects. Brent Chastain served as Landscape Architect.